We are temporarily not taking repairs!!! 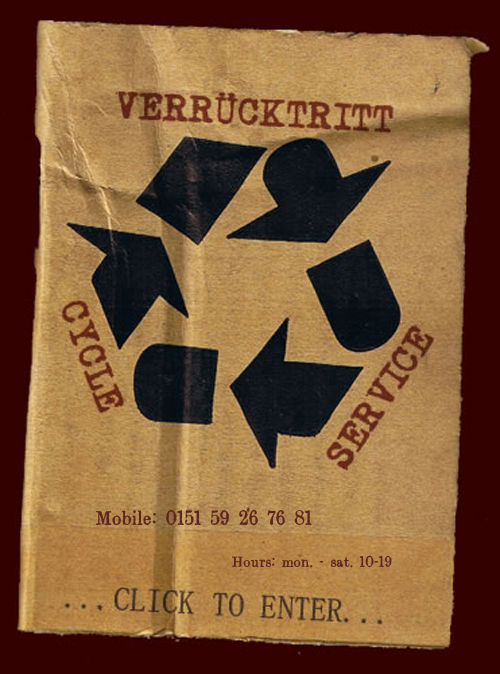 This entry was posted in Uncategorized and tagged verruecktritt cycles mobile bike repair berlin mobile fahrrad service werkstatt reparatur berlin by Verruecktritt. Bookmark the permalink.